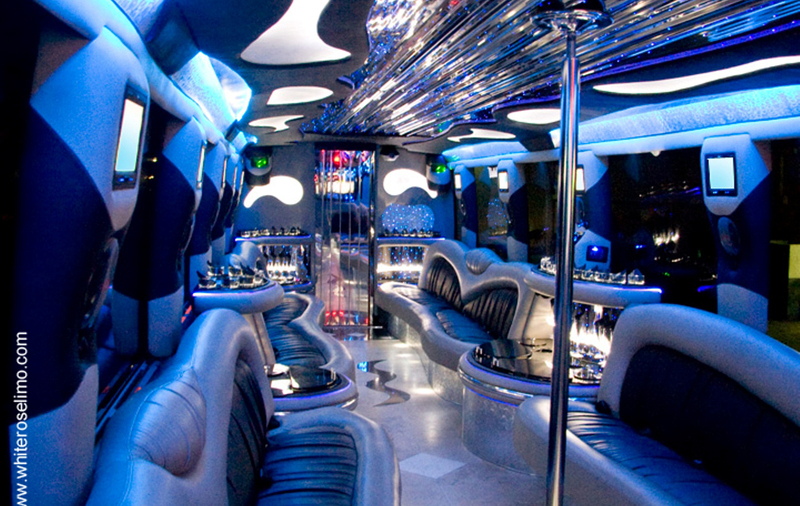 White Rose Limo is the ultimate source for luxury party bus rentals in Rancho Santa Margarita. 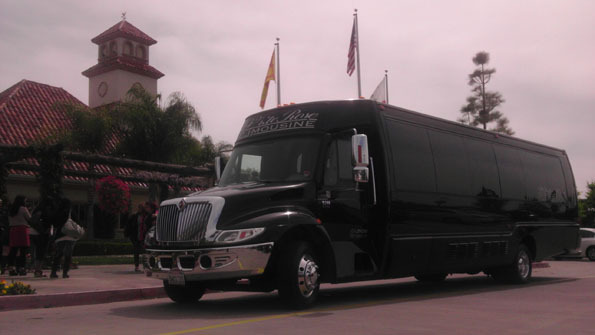 We’ve been supplying custom-built party buses to all the neighborhoods in Orange County including Rancho Santa Margarita, Coto de Caza, and Dove Canyon for years. 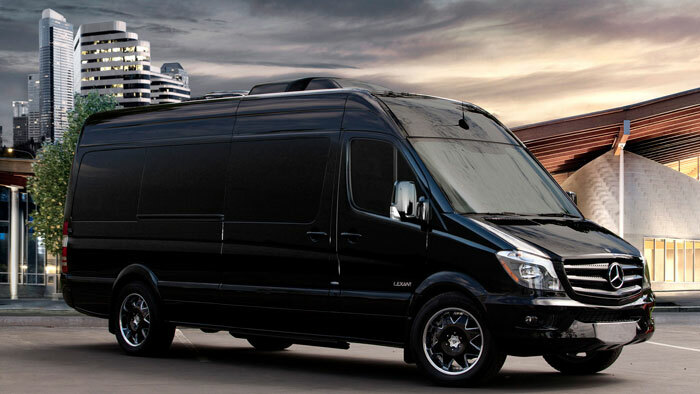 Our party buses come fully equipped with one-of-a-kind amenities, top-tier service, and professional drivers to make any special event amazing. 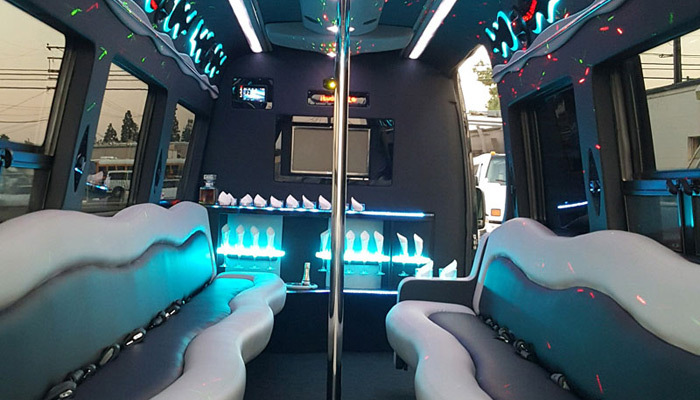 Our commitment to the client (you) and attention to detail have earned our party bus rental service in Rancho Santa Margarita rave reviews on sites like Yelp! and Google. Planning an outing in Rancho Santa Margarita but still looking for something spectacular? Let us help. Our friendly staff makes it their business to keep up on all the best excursion locations, wedding venues, and unforgettable destinations in Southern California. Rancho Santa Margarita is small but mighty—located in the heart of all the action California has to offer. And while our party bus rental service can take you pretty much anywhere in the state and beyond, there’s plenty to see and do right here in Rancho Santa Margarita. Fancy yourself a beer connoisseur? Why not impress your friends with a brewery tour in Rancho Santa Margarita? Plan a pub crawl through the Cismontane Brewing Co. and Dunbar Brewing right here in Rancho Santa Margarita then expand your senses elsewhere. 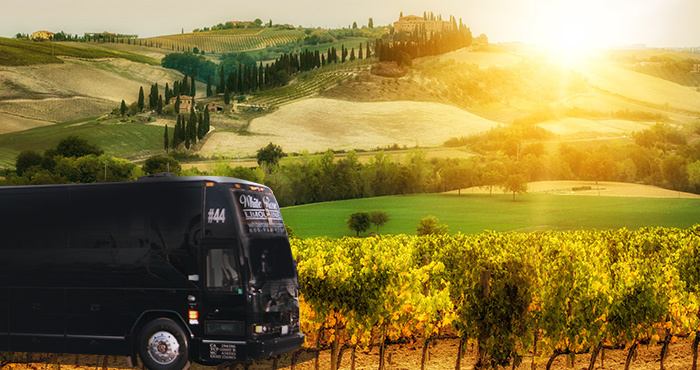 If wine is more your thing, our party bus rentals in Rancho Santa Margarita can help you and 40 or so of your friends and family sample some of the best vintages in town. Start (or end) your trip with The Hamilton Oaks Vineyard or Frisby Cellars Winery. If your perfect day away involves shopping ’til you drop we can take you and the gang out on the town for extravaganzas at The Shops at Mission Viejo or the Irvine Spectrum Center—with over 130 stores and dining venues—it’s one of Southern California’s most popular shopping destinations. Planning a big birthday party for a young child or an educational excursion for a school group? 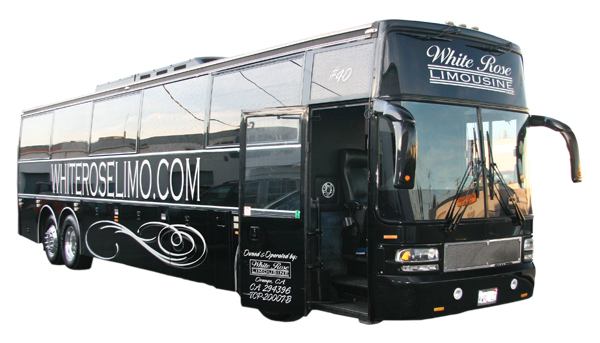 Let White Rose Limo’s party bus rentals in Rancho Santa Margarita, Coto de Caza and Dove Canyon whisk you away to the Tucker Wildlife Sanctuary, Whiting Ranch Wilderness Park, or Rancho Las Lomas Wildlife Foundation. Tijeras Creek Golf Club is an 18-hole course that challenges amateur and pro golfers alike with amazing views on the back 9 and an excellent staff. Not only is this a great excursion for everyone at the office but it’s also a wonderful venue for fundraising events as well. There’s no need to wait, worry, or wonder. 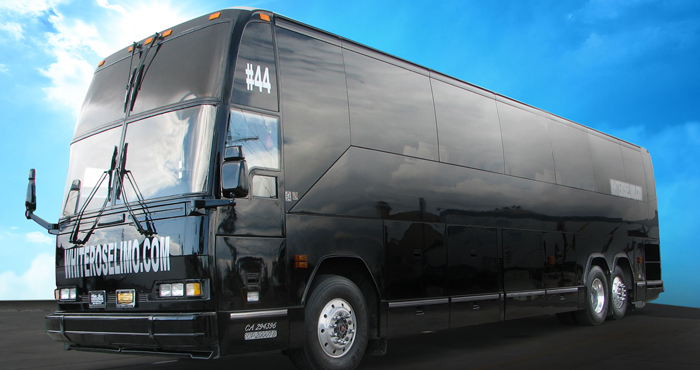 Get a free quote for a party bus rental in Rancho Santa Margarita right now. Simply fill out this short form, tell us a few details about your party size and desired destinations, and we’ll work up a complete quote to suit your needs. If you have questions, we have answers. If you need help, that’s what we’re here for. Let our professionals help take the hassle out of planning travel for large groups to and from Rancho Santa Margarita and the surrounding areas. Get your quote today.